The Transport Workers Union of America was founded in 1934 as an industrial union dedicated to the promise that an organization built on trust and equality for all workers cannot be denied. Our motto is "United-Invincible"
MIAMI — For the Ingram clan, working for the Miami-Dade County transit system has led to regular paychecks, a steady advance up the economic ladder and even romance. By driving buses in Miami’s sun-scraped communities, Richard Ingram and his wife, Susie, were able to join the ranks of the black middle class, moving with their four sons from a rental in the down-and-out neighborhood of Overtown eventually into their own house in central Miami. 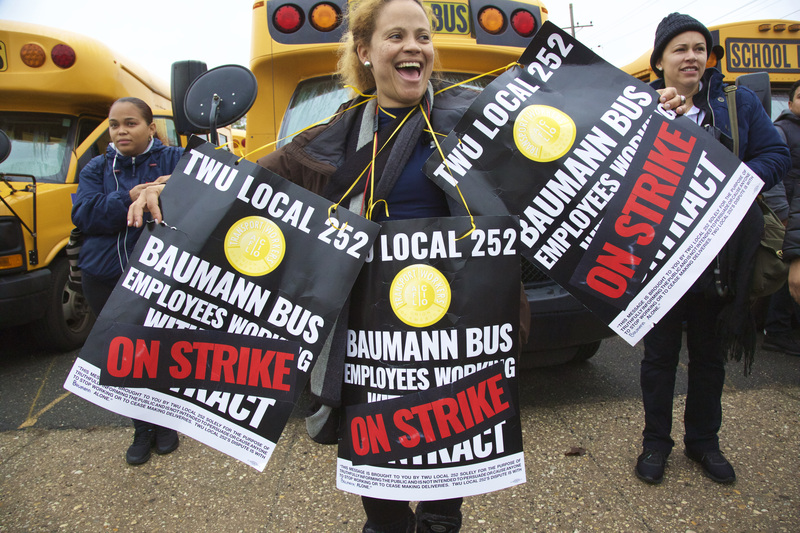 From the beginning, Local 252, along with TWU International leadership, sought a speedy resolution to this dispute so members could continue to serve the community and provide safe transportation to the children in the affected districts. Together, TWU members from across every division stood up and took action against a corporate bully who showed no regard for the working men and women of Long Island. We’re pleased to announce that Baumann and Son’s latest offer includes critical improvements for Local 252 members, such as guaranteed work weeks and charter pay increases, as well as wage increases and other gains. The membership will vote on the agreement tomorrow.Find out more on our website. For Jorge Bebelagua and Yanisel Barrial, the workday starts at 6:45 a.m. when they begin the trek to their jobs from their house in Homestead. They typically get home 12 to 13 hours later, which means they spend at least 20 hours per week, some 1,000 hours per year, commuting. How privatization increases inequality examines the ways in which the insertion of private interests into the provision of public goods and services hurts poor individuals and families, and people of color.